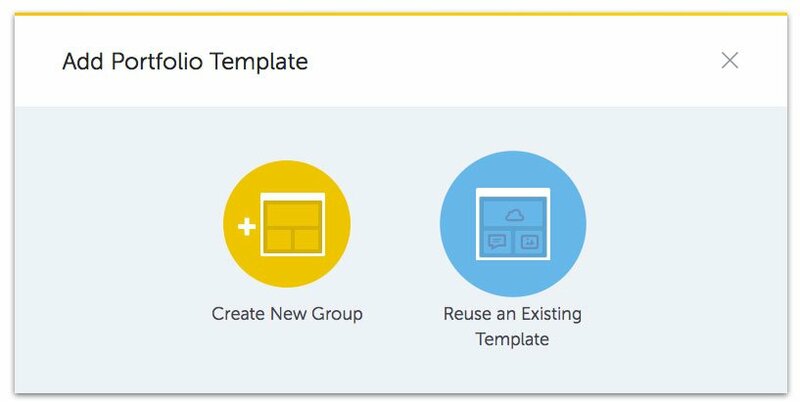 We made it easy for you to group your Assignments into separate Portfolio Templates. 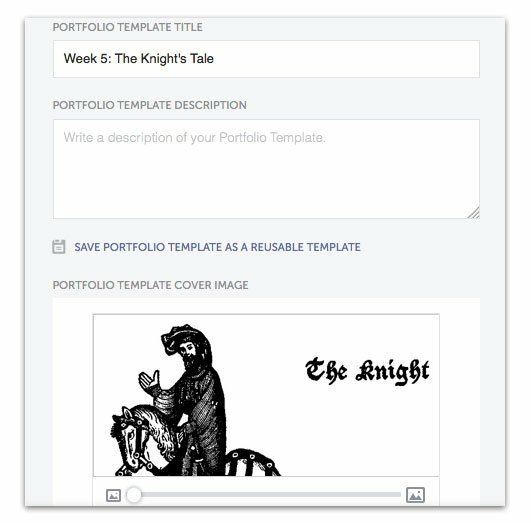 Each Portfolio Template is like a guiding blueprint for a portfolio that students will generate. 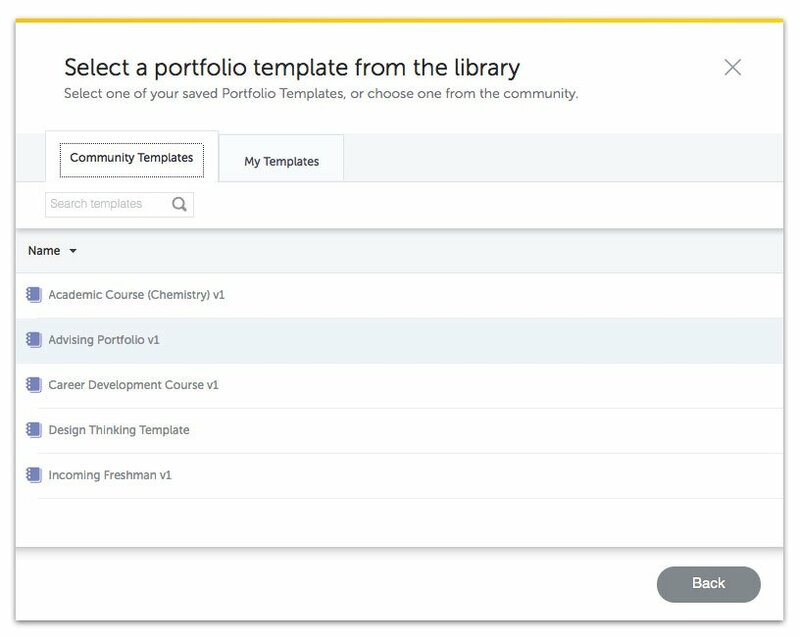 When students complete the assignments of each template, they populate their own course portfolios at a ratio of one portfolio per template. You may also choose to grade, align outcomes, or attach rubrics to a Portfolio Template, meaning you can give a whole group of assignments an overarching assessment. Below, you can adjust advanced assignment group settings, such as whether or not the assignments will be graded and how. To save a Portfolio Template to your library for use later, click the Save Portfolio Template as a reusable Template button located beneath the Portfolio Template Description. You may choose to alter the order in which Templates appear.